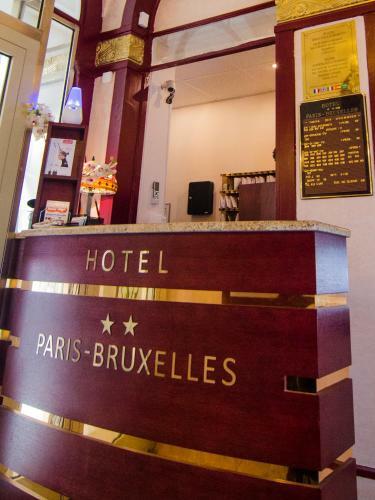 Hotel Paris Bruxelles is located next to the lively République Square and just 200 metres from the metro station. 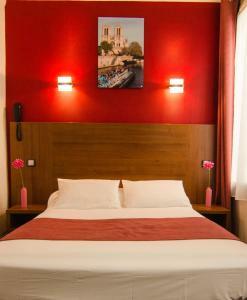 It offers soundproofed rooms with free WiFi. 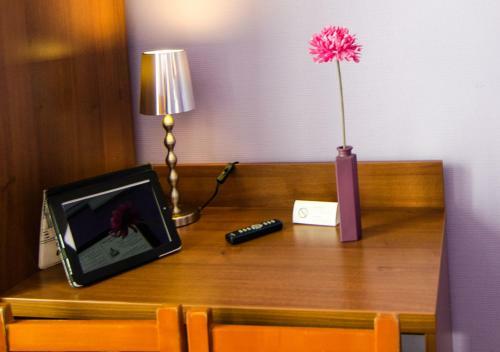 Rooms at Hotel Paris Bruxelles offer a flat-screen TV and a desk. The bathrooms have a hairdryer and a bath or a shower. 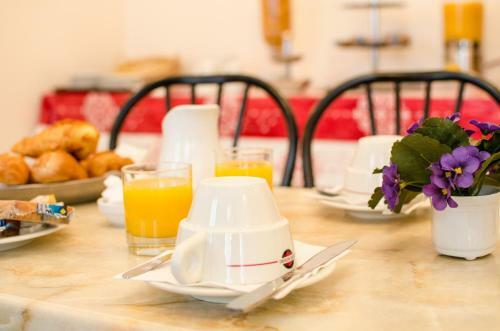 A continental breakfast is served every morning in the breakfast room or in the comfort of the guest rooms. Vending machines can be found in the 24-hour reception, where guests can also organise the airport shuttle service. 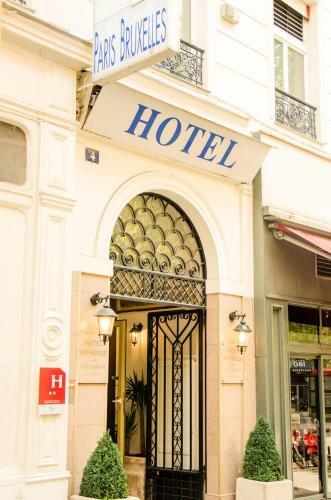 Bordering the Marais district, the hotel is just a 20-minute walk from the famous Place des Vosges. 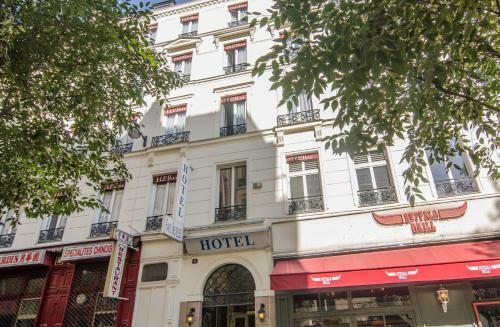 Guests may also choose to walk for 10 minutes to either Canal Saint-Martin or the Georges Pompidou Centre. 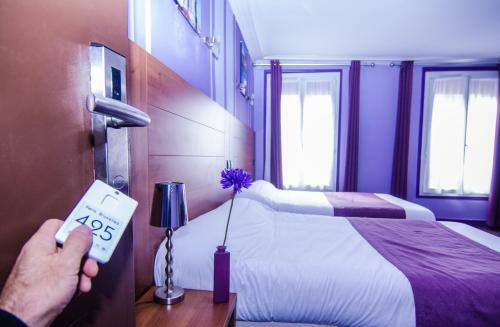 Please note that a photocopy of the credit card used to make the reservation will be required upon arrival, as well as a photocopy of the guest's photo ID. Guests are required to show a photo identification and credit card upon check-in. Please note that all Special Requests are subject to availability and additional charges may apply. 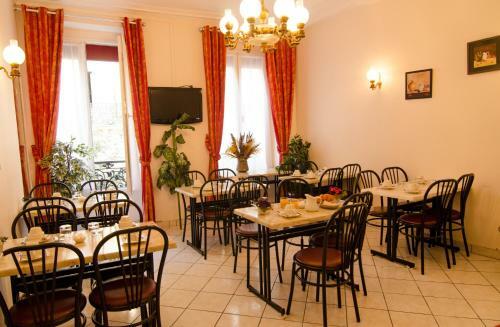 This room has a single occupancy and offers a flat-screen TV and a private bathroom. Please note that there is no capacity for any extra bed or baby cot in this room. Rate: € 72.00 ... € 197.00; select dates below to get current rates. 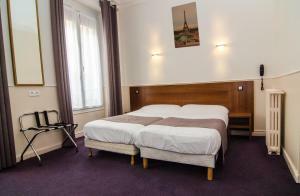 Accommodating 2 people this room offers a flat-screen TV and a private bathroom. Please note that there is no capacity for any extra bed or baby cot in this room. 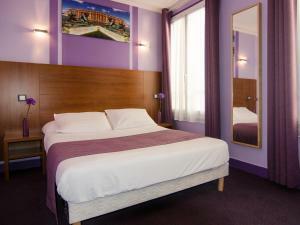 Rate: € 105.00 ... € 125.77; select dates below to get current rates. 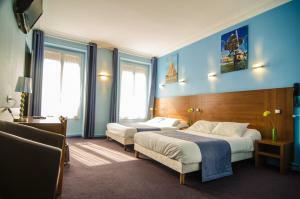 This room can accommodate 3 people and offers a flat-screen TV and a private bathroom. 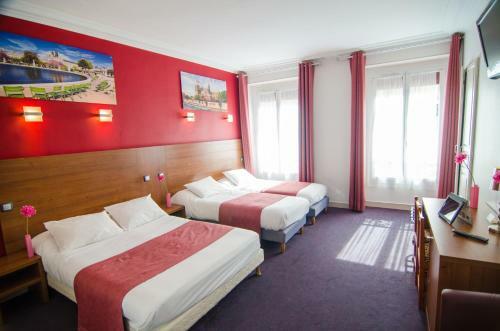 Rate: € 127.14; select dates below to get current rates. Accommodating 4 people this room offers a flat-screen TV and a private bathroom. 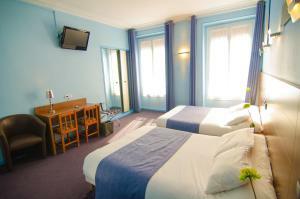 Suitable for 2 people, this room has a flat-screen TV and a private bathroom. Please note that there is no capacity for any extra bed or baby cot in this room.